We’d love your help. 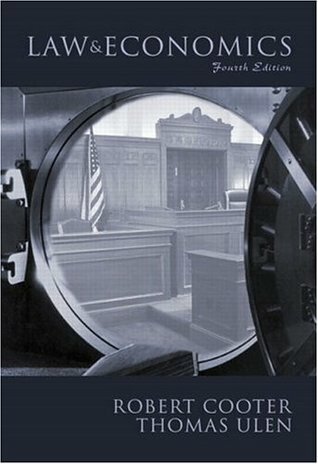 Let us know what’s wrong with this preview of Law & Economics by Robert Cooter. To ask other readers questions about Law & Economics, please sign up. Just thought I would let my friends know what I am currently reading. I am about half way through this enchanting book. As of yet there has been no romance or comedy but I am staying optimistic. I am also reading two books on Negotiations (preparing for my MBA class that I teach this Spring). I wont get to read anything fun until Spring Break. Poor Kirsten cant read anything fun until at least July. Stay classy Chapman's and remember that personality mirroring and getting your name out there...a Just thought I would let my friends know what I am currently reading. I am about half way through this enchanting book. As of yet there has been no romance or comedy but I am staying optimistic. I am also reading two books on Negotiations (preparing for my MBA class that I teach this Spring). I wont get to read anything fun until Spring Break. Poor Kirsten cant read anything fun until at least July. Stay classy Chapman's and remember that personality mirroring and getting your name out there...a lot, is the key to success. 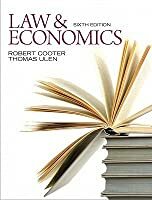 Solid introduction to the field of law and economics. Anyone can read this. It presupposes virtually no knowledge on economics or law -- a brief synopsis of basic microeconomics and the common law system is presented at the outset. Sure, it's a textbook, but it's a great one -- one of the few I actually plan to keep (although that may be because I have it conveniently saved in PDF form on my hard drive). I really did not like it while I was reading but it forever changed the way that I looked at pretty much everything. Game theory infected me via this book. Yea, it's a textbook...but it's amazing.